"I just ordered another year's supply. Your Prostate Miracle keeps me alive, keeps me asleep at night and enables me to function as a man at the age of 77. I cheated the surgeons who wanted to steal my prostate maybe 25 of 30 years ago thanks for your NHS." "Thanks for your prostate support supplement. I've found that I can now do my 3.5 mile walks without feeling the need to go to the bathroom. My days, generally, have been more comfortable, without so many urges to urinate. The Miracle Prostate has, it seems, strengthened me in this way. My condition, by the way, has been in the past one of generally aggravated discomfort, that made sleep difficult at night and activity reduced during the day. I'm 67 years old. 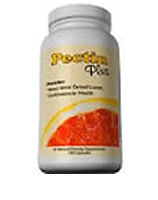 I have tried ProstaGenix in the past, as late as this past spring and summer. While it originally gave me some relief, it seemed to fade to very little help over a period of time. I noticed this especially when I was active, noting the duration of time that I could sustain an activity without discomfort in my groin. 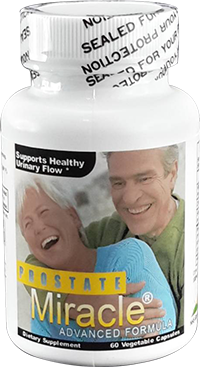 I also found that while using ProstaGenix I felt more discomfort during my sleeping hours, and had to get up more to urinate. It seemed quite contradictory to the promises made for what it could do. Perhaps this is just coincidental to the season, the days being quite hot from March through October here in Texas, adding to my need for extra hydration and hence the concomitant need to pass water. Perhaps I was affected by my having had an inguinal hernia that was pressing against the area in question. But having had surgery, I still was having discomfort and too many urges to pee, so something seemed to be still wanting attention. I can't say for a certainty what was amiss, but I needed to address the situation to solve the problem of my diminishing health. And the ProstaGenix supplement was not the answer, even though I was continuing its use post surgery. However, since switching to your formula, I've found a dramatic change for the better. I can only hope that this improvement continues all year, and increases as I continue to use the Miracle Prostate supplement. I am hoping that with a judicious change in diet, which I am told can affect prostate health, that my condition will eventually be one of complete recovery. I will let you know at some future date how everything has worked out. With sincere thanks"
"Thanks for the prompt super fast service. The tablets arrived at my place in New Zealand in 98 hours from the time I ordered them. That is super fast service. 4 day delivery plus 2 hours with USPS to New Zealand is not normal. Shipping is normally about 3 weeks give or take a week. Every thing must have lined up perfectly. Over the last 5 years I have tried many prostate tablets from different companies and reputable doctors etc, but none have worked as well as yours. Each brand I have tried for 6 months and noted the response to the medication. i.e. number of times I have to get up each night, morning wood or not, how many times to the bathroom each day. I am pleased to say that ever since I did my 6 month trail with Prostate Miracle, I sleep right through the night, with no get ups. Had morning wood more often with Prostate Miracle than any other tablet, and had the lowest number of trips to the bathroom overall during the day. So unless something better comes along I will keep using Prostate Miracle from now on. I will be 78 on March 6.Hope my unscientific test is of interest to you." "I am now 75 and ordered another year's supply. You have no idea how grateful I am to you for being there and keeping the supply going. I avoid surgery. I sleep through the night. I have been a client for many years and hope for many more, so again BIG thank you. I keep suggesting that my mature male patients buy also. Warm greetings from chilly London"
"Prostrate Miracle is terrific! 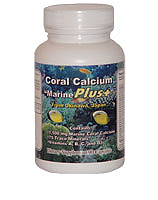 I will be 74 next month and my urine flow a few years ago had become painfully slow. The M.D. gave me a pharmaceutical that worked for a while but made me a little dizzy. After a year or two the medicine stopped working, so the doctor upped the dose and then I really got dizzy. Couldn't walk or stand very well. That's when I found I had always been allergic to the urine flow medicine. The doctor talked about an operation but who wants that? I didn't relish the idea of being cut up down there so I hit the internet and did some research and gave Prostrate Miracle a try. Wow! now i don't even think about my urine flow and all I do is take 2 capsules @ day, 7 days a week, and its all natural, no side effects, no dizziness, so I can't say enough about how great Prostrate Miracle is. Please Don't ever stop making this stuff! "Your product is the one that finally is doing the job for me. I am taking one caplsule on the AM, and two before bed time. I'm on the second bottle now and need to re order. I would like to buy enough for a year or so. What kind of price are you going to charge me for, say 15 bottles? (assuming the shelf life of the capsules will allow suchlolng-term storage)"
"I finally decided to do something about all the progressive miserable symptoms these past 4 or five years (inconvenient urges, straining, waking 2-4 times every night, waking my wife in so doing, to name a few). After skeptically researching all over the web for nearly a year, I found your website, read it carefully, multiple times, compared it with just about every other website, avoided the "freebies", checked with my doctor (who endorsed the ingredient) and finally decided to try ONLY your product. I ordered a 60 day supply to give it a fair run. It sure is great to get it right the first time! Your product has been very impressive. I'll sum it up and very frankly say that I am feel like a teenager again! Simply put, I forgot what it was like to have a good pee; it's nearly exciting! I am in my mid 50s. I have a friend who had two surgeries for this, all with complications and ultimately unsuccessful. I told them all about my success with your product and sent them your web link. As for me, you have another convinced and satisfied life-long customer.- Thank you!" "I would like to add my voice to your testimonials on this product. I had tried several prostate formulas but, NONE really did the job. I was convinced by your product review of other prostate formulas to try yours. After about a few weeks, I finally experienced for the first time in a long time, an uninteripted night's sleep. Now I don't think about urine flow anymore. A great load of concern has been lifted from my mind. 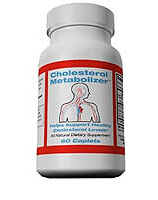 I believe your product delivers what is promised, a good quality high level of beta sitosterol at an affordable price. Thank you!" "I just want to write you a big thank you. I am 60 years old and was concerned about my starting and stopping and having to push to urinate. It was getting noticeably scary. I got on line to look for prostate formulas and found your site. I read it thoroughly and I felt confident that you were real. I ordered and received the product promptly. I started that day and by the 4th day I noticed great improvement. Needless to say I am overjoyed.Thank you so much you have a customer for life"
"Prostate Miracle is amazing--- I enjoyed improvements within the first week! Thanks for making such an outstanding product." "I am a 41 yr old male, who has had BHP for the last 4 years. My major complaint was dribbling after urination and a foul odour that would never go away due to bacteria buildup. I have been taking Prostate Miracle for 2 weeks now I am happy to report that I've got no more complaints. With all of the knock off, unrealistic promises of cures available on the internet, it is nice to see a product that actually works. Thank you so much!" "Wow are you guys kidding me. 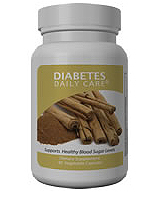 I am a new customer to your product and received my first shipment only 2 days after placing my order. I have taken only been taking Prostate Miracle pills for 4 days and have already noticed a significant improvement. By way of background, I am a 55 year old male and I wasn't sure what to expect as there are many products out there for the prostate. I found your website that compared the various prostate products to be quite informative. I would say it was the determining factor for me. But what I have experienced in only 4 days in a word is a "miracle." Assuming there are no adverse side effects from long term usage, I plan to use your product in perpetuity for my prostate health. Thought you should have some feedback. Thank you,"
"My Father, and my Uncle both died from Prostate Cancer, so being that I am almost 60 years old, I wanted to do something to give me some control over having a healthy prostate. So I decided I would take Prostate Miracle. For twenty years I have had a PSA blood test with a nice healthy steady number of ".80" But I feared as I got older the number would increase. Ive been taking Prostate Miracle for about 6 months now and recently had another PSA blood test, and to my surprise the number improved to ".50". My doctor said "That is as good as it gets". Now, I feel I have the power to control my prostate health! Many thanks, I am of course a customer for life." 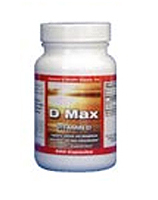 "I just wanted to tell you how happy I am that I found your product, Prostate Miracle. I feel closer to normal than I've felt in a long time. Each day is better and better, all in about two weeks time. 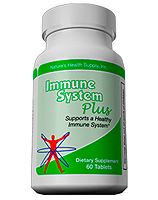 I am very appreciative of this product and I'm going to show my doctor your product as well. " "I have been taking Prostate Miracle for about a year now. I was having pain in the prostate and surounding area, after 2 trips to the doctor and 2 different meds and the expense . . . I found prostate miracle on the internet and ordered, then after the quick results, I have ordered 4-times over the last year . (three bottles at a time) TODAY I got the results from the doctor my PSA results is 0.7 I was so happy ,I may never quit taking Prostate Miracle. My results were quick, probably 8-14 days but I had not been back to the doctor till now for all of my yearly check-ups. just wonted the world to know it really does work. Thank you for the product. My age is 63"
My doctor and I were very concered about my last PSA reading. I've been taking Prostate Miracle for almost 4 months now. I just came back from my most recent doctor vist today. My Doctor said my current reading was acceptable for my age (62) and that he does feel the need to refer me to a specialist to do a biopsy. Thank you very, very much." "I have just ordered Prostate Miracle -This is my second order and I want to thank you for the product, I feel great! I had taken Proscar for 18 months before trying "Prostate Miracle" and experienced no improvement what-so-ever, Many thanks." "Good day! 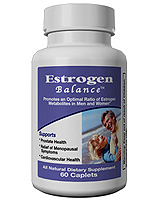 I am a 61 year old man from the Philippines and I like many othere my age, I was worried about my prostate symptoms. Then my daughter who was surfing the internet found your site. To make the long story short, we ordered the prostate miracle through a friend in the US and shipped it to us. I've only been on it for 3 weeks and already I can hnestly say that I feel completely normal It is with tears of happines in my eyes that I want to thank you." "I have taken prostate miracle for only 27 days and my urologist and I are completely thrilled with the results. He has canceled my scheduled biopsy for now, thank god!, and does not want to see me for 6 months! I want to Thank you from the bottom of my heart, for your product, which really has lived up to its name, It truely has been a miracle for me. I will keep you informed as to how this all works out"
"I did have a slight burning sensation in the prostate area after sitting at my desk for long hours while working on my computer, although it was not severe enough for me to be concerned about the health of my prostate. I thought that I had everything under control - as well as any healthy 64 year-old prostate could be. Since I do believe in preventative maintenance however, I started taking your Prostate Miracle Formula® about 3 months ago. I wasn't expecting to really feel any different than always because I hadn't had any specific pain related to that area. If I did, I thought it would be about six weeks or more before I would detect any appreciable improvement of any kind. Low and behold, after only three days of taking the Prostate Miracle®, I noticed a very definite feeling of well being throughout the whole area of the prostate. I was elated, to say the least, and very much surprised to find that the Prostate Miracle® actually worked as was stated by the conversation of the doctors on the radio advertisement. At last, a company that was not out to hoodwink its customers, deceive, and rob them. What a wonderful feeling, and what a wonderful supplement that your company is offering to the public. What else can I say; buy it, try it, you'll like it and you will never be without it." "I have been using your Prostate Miracle® since the beginning of 2005. I have had marvelous results. At my last physical exam, my doctor expressed concern about my prostate. He suggested we wait and see before taking any action. Last week I had this years annual checkup and according to my Dr . . ."A normal prostate was observed, including the normal groove dividing the 2 lobes of a normal prostate". Needless to say, I am ecstatic with the success of the Prostate Miracle®." "I used to geet up 8 times a night to pee. Now I am getting up 1-2 times. 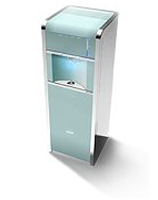 I am very pleased"
"I was skeptical, even thought of returning it, then on my fourth week I began feeling better. After another week I was getting a full nights sleep. Now, I feel normal. My psa is normal too"
* Some of the testimonials on this page have been edited ever so slightly, in order to comply with FDA regulations. Supplements are considered by the FDA to be food items and NOT drugs. Accordingly, supplements can not be promoted with claims that they can treat or cure disease, even if such claims come from satisfied customers.